This book was reprinted from a public document and records from the US Government. It is a collection of hearings that took place in Washington DC, by the House of Representatives on April 21st 2004. The subject of these hearings was the UN Oil-For-Food Program. As stated by Representative Christopher Shays, “From its inception in 1996, the UN’s Oil for Food Program was susceptible to political manipulation and financial corruption. Trusting Saddam Hussein to exercise sovereign control over billions of dollars of oil sales and commodity purchases invited the illicit premiums and kickback schemes now coming to light….What began as a temporary safety valve to meet humanitarian needs of the oppressed Iraqi people was allowed to become a permanent torrent of sanctions and profiteering.” The potential benefits of the program are laid out in the book as well, including the fact that The Oil Food Program raised the national nutritional level of most Iraqis. 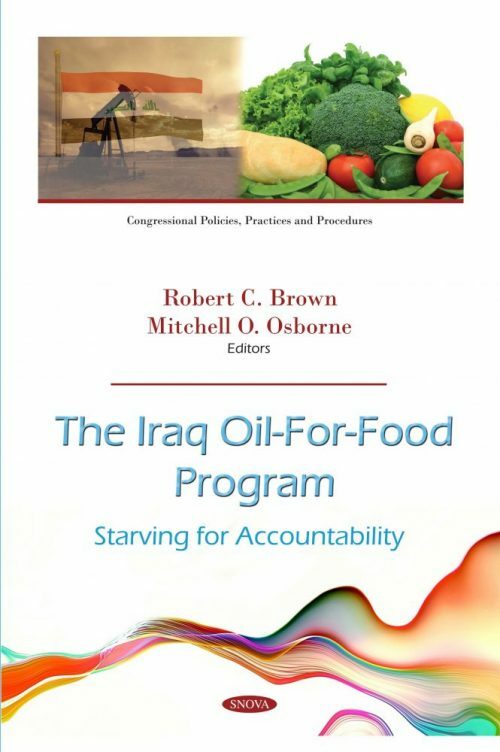 This book examines the impacts and implications of the UN Oil for Food Program, its advantages and challenges and allows the reader(s) to make up their own mind with regards to whether the program was a success, or ultimately a failure.